Talented figure skater, Alexandra Snowdon, aged just nine years, has wowed the ice skating and ice dancing world by winning two gold medals for Great Britain at the Copenhagen Dance Cup Competition, held over the Easter weekend. 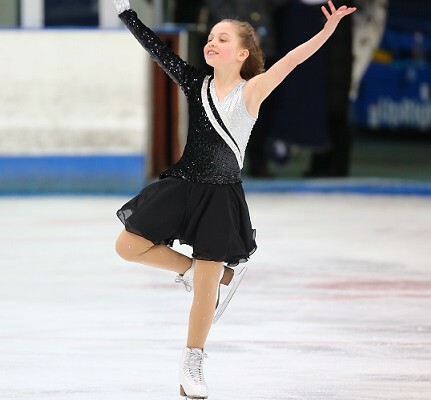 The young champion, based at Better’s Streatham Ice and Leisure Centre in London and competing for her first time at an international ice dancing competition, won golds in the Solo Dance Juvenile Ladies AR and Juvenile Ladies OC categories. Alexandra trains on-ice for 12 to 14 hours a week and is coached by Diane Towler-Green MBE, a former Olympian and four-time British, European and World Ice Dance Champion and her two daughters Candice Towler-Green, an IJS international Technical Specialist and two-time British Junior Ice Dance Champion and Phillipa Towler-Green, a four-time Silver Ice Dance Medallist and European and World Championship competitor. Alexandra, from Clapham who attends Belleville School in Wandsworth, is fortunate to receive financial support from Jacksons Estate Agents and the GLL Sport Foundation (GSF), the largest independent athlete support programme in the UK, operated by charitable social enterprise, GLL. The programme works in partnership with national governing bodies of sport through the national charity SportsAid to support the next generation of sporting talent. The foundation helped fund 59 athletes who competed at the London 2012 Olympic and Paralympic Games with 13 medals won between them. Skating since she was three years old, Alexandra started competing at the age of six upon appointment to the NISA (National Ice Skating Association of Great Britain) national development squad. 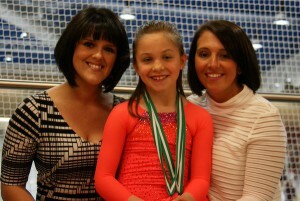 At seven years of age Alexandra was the youngest competitor to have ever qualified for a British Figure Skating Championships, having successfully qualified for the British Solo Ice Dance Championships held at IceSheffield. The figure skater won gold earlier this season at the Skate Southern Club International at Lee Valley on the 14th March before winning her golds for Great Britain at the Copenhagen Dance Cup Competition in Denmark. Alexandra was the youngest athlete in her categories with the oldest competitors being 19 and 17 years of age.